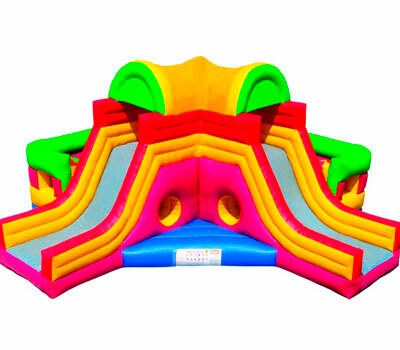 The Bouncer Maze is a fun, challenging obstacle course for younger participants. Children crawl through the double access tunnel entrances, scramble through, under and over the obstacles, up the ladder and down the exit slides. The Bouncer Maze is the ideal way to get the imagination going whilst keeping the children moving and active. This is a fast paced, fun activity.